For many of us, juggling work commitments and our other responsibilities can seem almost impossible. With a busy work schedule to contend with, family commitments, trying to stay healthy and keeping up with other hobbies and interests, something may inevitably fall by the wayside. Bringing it all together can often feel like managing the proverbial house of cards, balanced but always just at the point of tipping over. With the extra stresses and responsibilities that those in executive roles deal with on a daily basis, the challenge of striking an optimal work-life balance can be huge. Falling short of achieving a state of perfect flow can not only be detrimental to your success at the office but it can have an impact on your relationships, family life and even your health. When you are with your family and friends, leave the cares of the office in the office. They will be there when you get back. You deserve quality time with your nearest and dearest. Nowadays executive recruiters are looking for candidates who are relaxed and in control because they understand the benefits that well-balanced people can bring to a company. 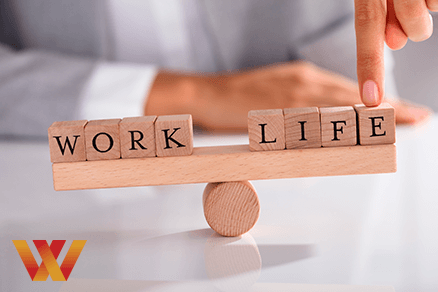 Let’s take a look at a few useful tips to help you strike the right work-life balance so you can be successful in every aspect of your life. In the British Journal of Public Health, it was stated that “… overeating and obesity are worse for our health than being a lifetime smoker or having a chronic drinking problem.” Of course, we’re not advocating smoking or excessive drinking but the way we eat can cause major health problems in our lives. Many executives these days eat a proper breakfast, but lunch is taken on the go. Sometimes it will be something from the canteen, sometimes from a vending machine or other times, lunch just passes by. Be sure to always take time to take care of you. Pack your lunch in the morning with all kinds of healthy goodies to keep your body healthy and your mind sharp. With the proper fuel in your tank, you’ll be better positioned to operate at your best. As a quick exercise, write down the amount of time that you spend at work. Then make another list and see how much time you spend relaxing with family and friends. When you see the two numbers side-by-side, it will give you the wake-up call you need to prioritise your life in a different way. Now, more than ever, it’s crucial that you make time for yourself and allow yourself an opportunity to relax and unwind. Many executives find mindfulness, breathing exercises, meditation and/or yoga to be great ways of disconnecting. If these activities sound more stressful than relaxing, try going for a walk or listening to relaxing music for 15 minutes alone once a day. Whatever you need to do, do it and reap the benefits of a little you time. An old story tells us about a man that, before walking into his house, would touch a tree in his garden. His son asked him why he did this every day after he arrived home from work. He told his son that in his mind’s eye, he leaves all his worries and cares of his job on the tree, and doesn’t bring them into the house to his family. As an afterthought, he said to his son that in the morning when he went back to work, the worries seemed less than they did the day before. Of course, the moral of the story is that when you are with your family and friends, leave the cares of the office in the office. They will be there when you get back. You deserve quality time with your nearest and dearest. You know what you excel at and you know what you struggle with. Outsource those things that you are not as strong at and leave yourself with more time to focus on things that will make you shine. By focusing on your strengths, you will save time and ultimately have more time and energy for other activities both in and outside of the office. When in an executive position, it’s natural that people will look up to you for guidance, support and also to be inspired. If your staff see that you have found the right work-life balance, they will follow suit and find ways to be more content in their own day-to-day commitments. Promoting that those in your organisation spend time with family and friends, work out and eat the healthy brain-food you have added to the cafeteria menu is great. However, following through and leading by example is one sure-fire way to ensure that others will mimic your positive attitude and also be more productive and happy in both their working and personal lives. With a general can-do attitude and feeling of positivity running through your organisation, you will find a way to achieve that perfect work-life balance and stick with it. Looking for Advice on Your Executive Career? 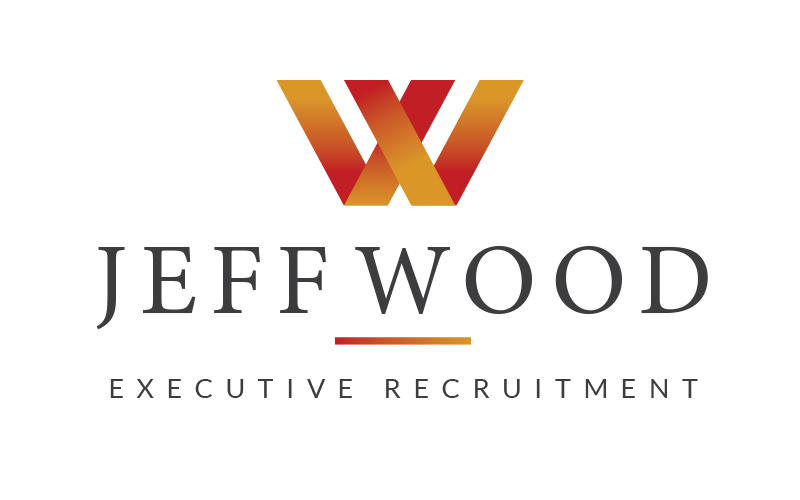 If you are looking for professional recruitment advice from an experienced team, contact our office today.